Boxed talisman of Tengu shrine (Dealer: titcoRet) – Old talisman of Furumine shrine which is well-known for Tengu worship (‘Tengu’ – Long‐nosed goblin) deeply relating with the unique syncretism of folk Buddhism and ancient Japanese Mountain worship. Late Edo – Meiji period. 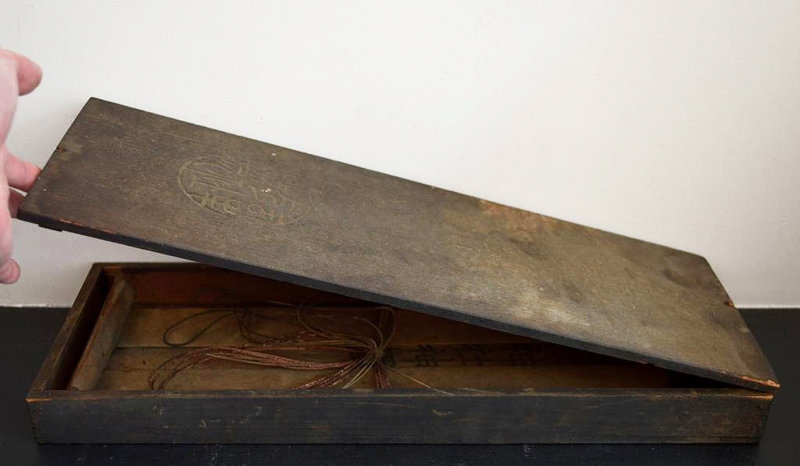 The wooden box seems to be once sealed with iron nails in later years (Wooden nails are used for the box itself), but now unsealed and opened. Inside talisman has such mysterious fascination and power through the long years in close box. Aged deterioration and soot as seen.